1-7 = Post mortem vids. 8-32 = Selected week 2 vids. 33-40 = Selected week 1 vids and a few others. This is a compilation of material and developments related to the United Nations Framework Convention on Climate Change (UNFCCC), COP 18 (Conference of the Parties), annual Climate Change Summit, held in Doha, Qatar, Nov. 26 – Dec. 8, 2012, and its aftermath. Please see selected vids, articles, reports and other resources to date compiled below. Below: Intro (soon), summary (soon), conclusion (soon), resources. 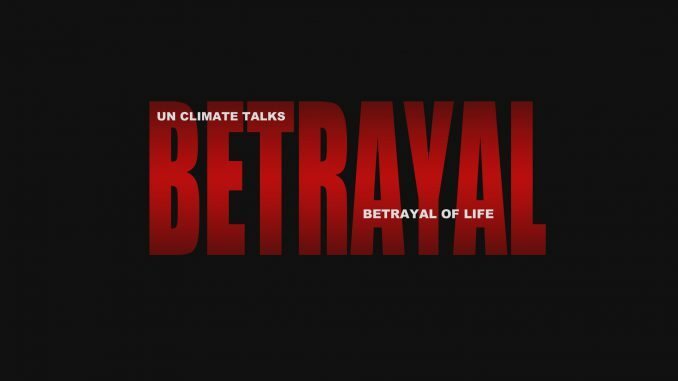 Video interview – Pablo Solon: Climate apartheid, the lost decade to 2020, Democracy NOW!